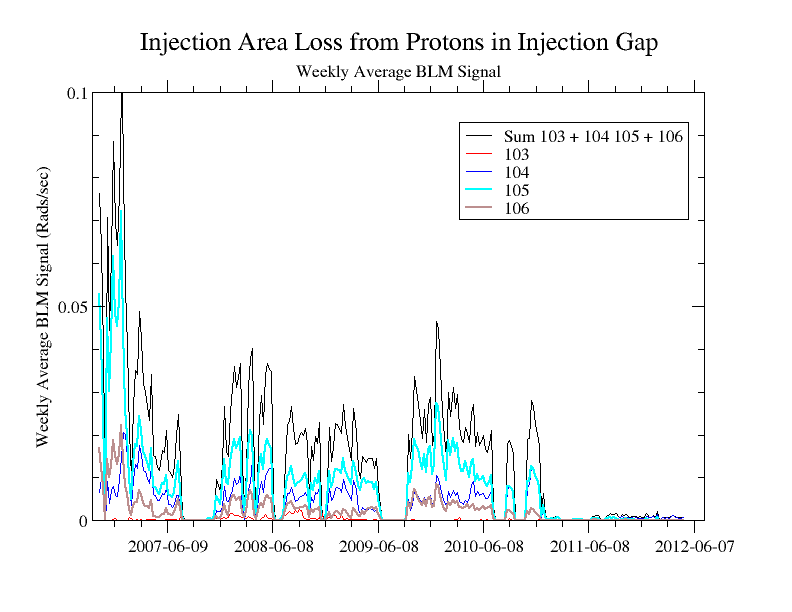 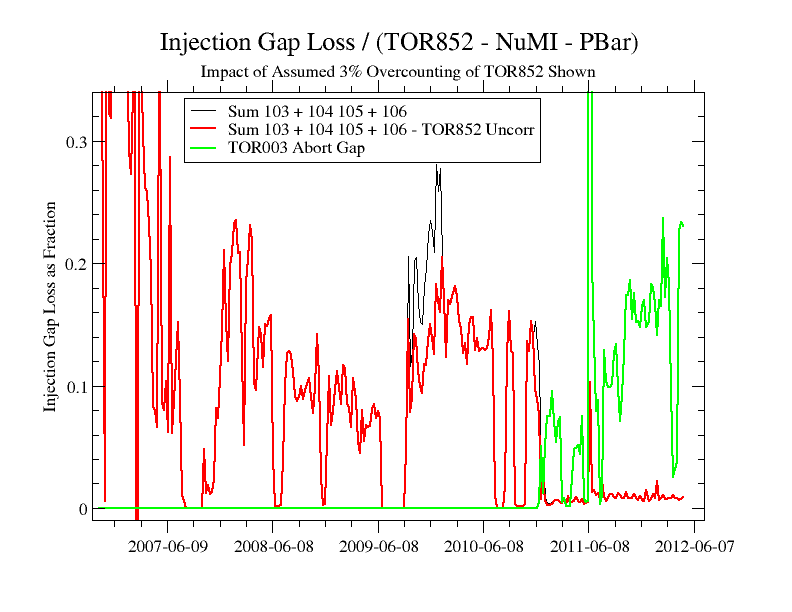 Protons are lost in the Main Injector at or near the 8 GeV injection energy. 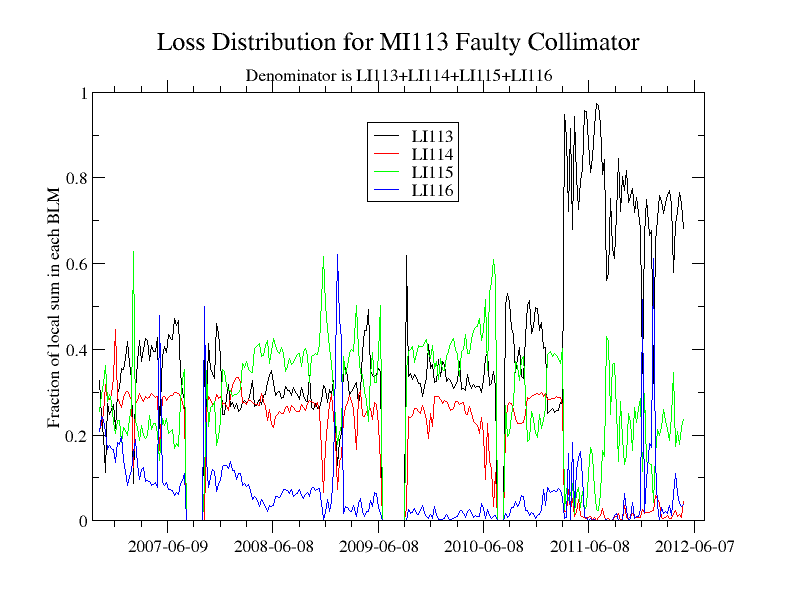 This loss has been successfully localized by the collimators to deposit its energy in the MI300 collimator region. 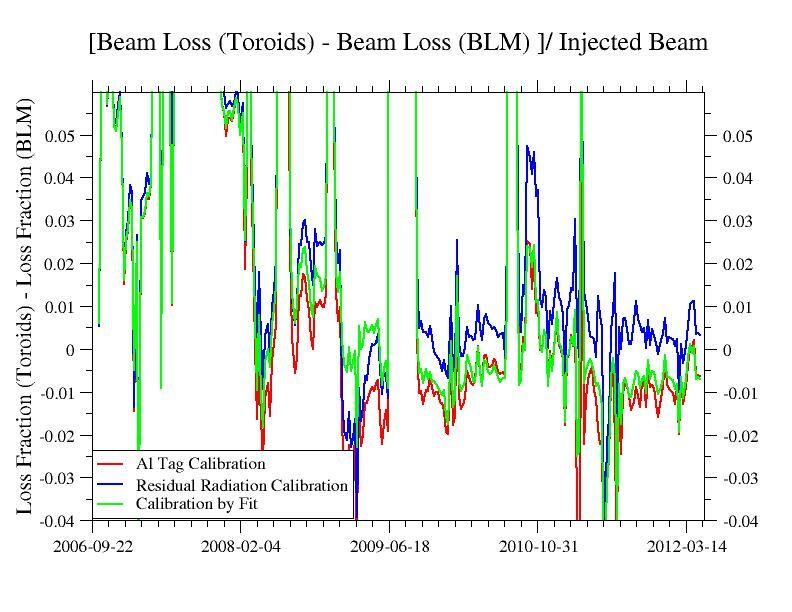 We will show that a loss model which assumes protons are lost at the collimator locations and the nearby Beam Loss Monitors (BLM's) provide a response proportional to the number of protons lost. 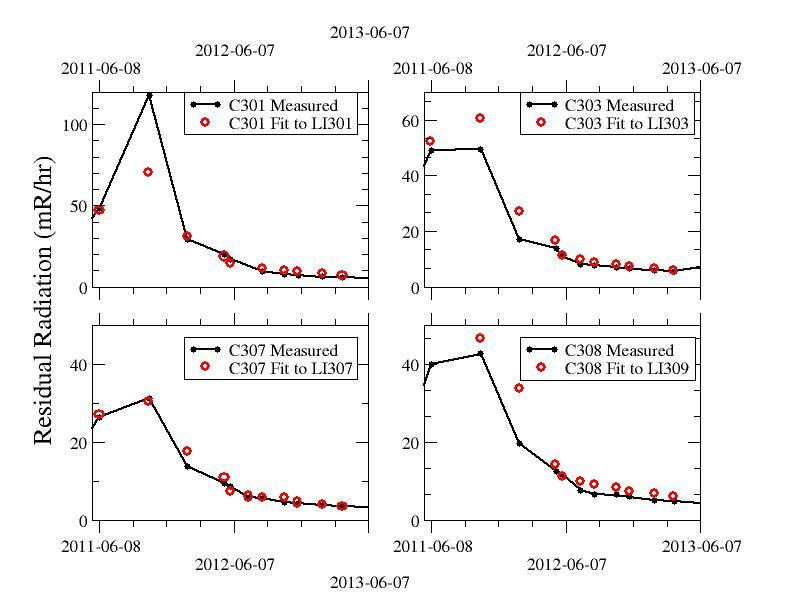 Simulations suggest that 80% of the lost beam power is deposited in the secondary collimators. 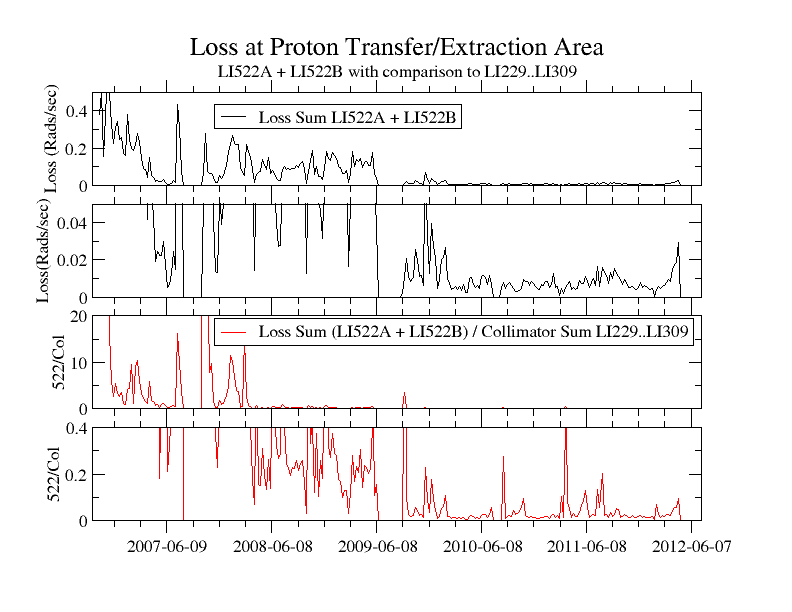 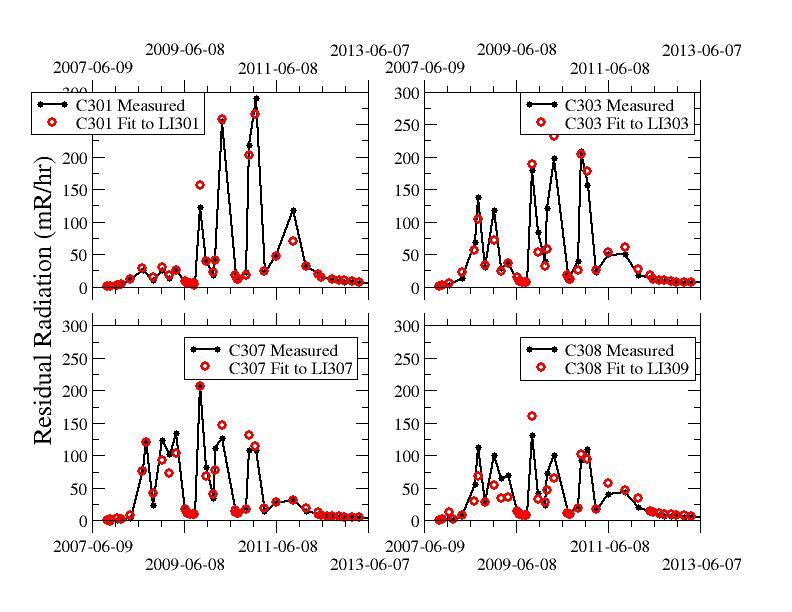 Additional BLM's in the area respond to the secondary particles but are not required to understand the proton loss. 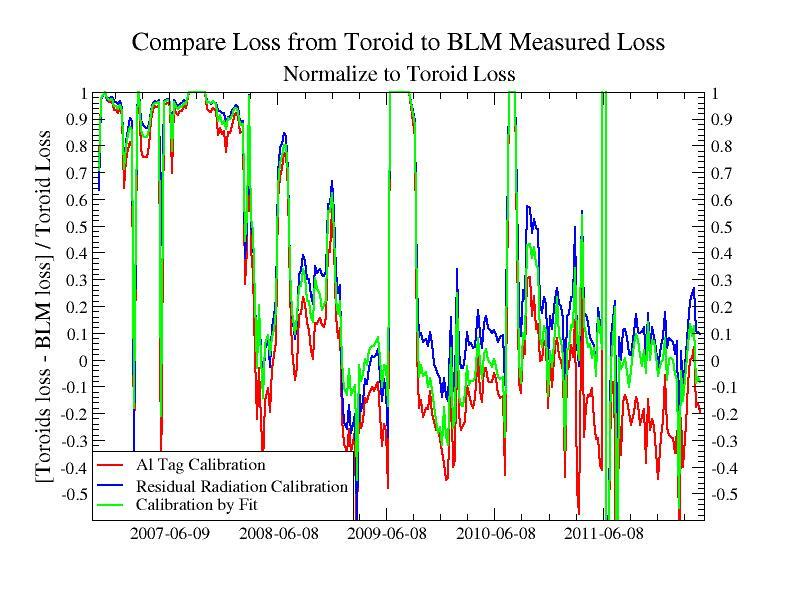 We calibrate these BLM's with the activation of the secondary collimators as measured by the residual radiation on the collimator aisle side. 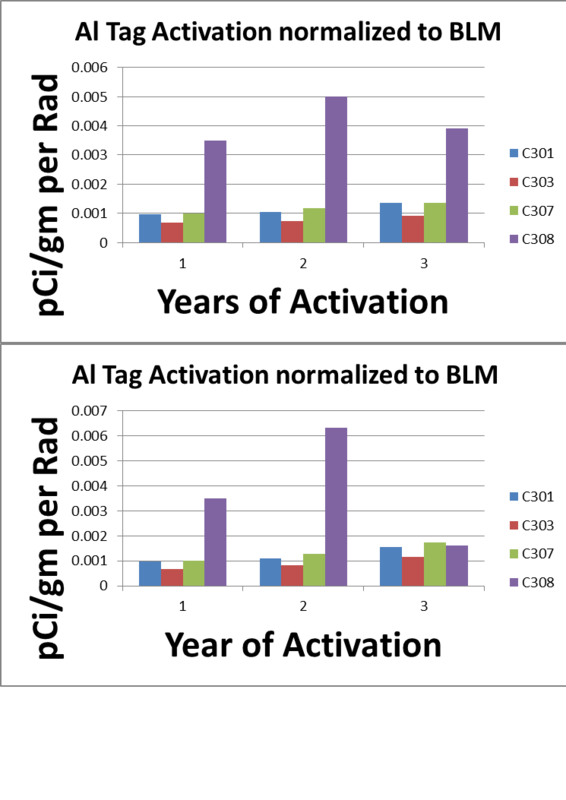 An alternative calibration using the activation of Al tags provides a similar measured sensitivity. 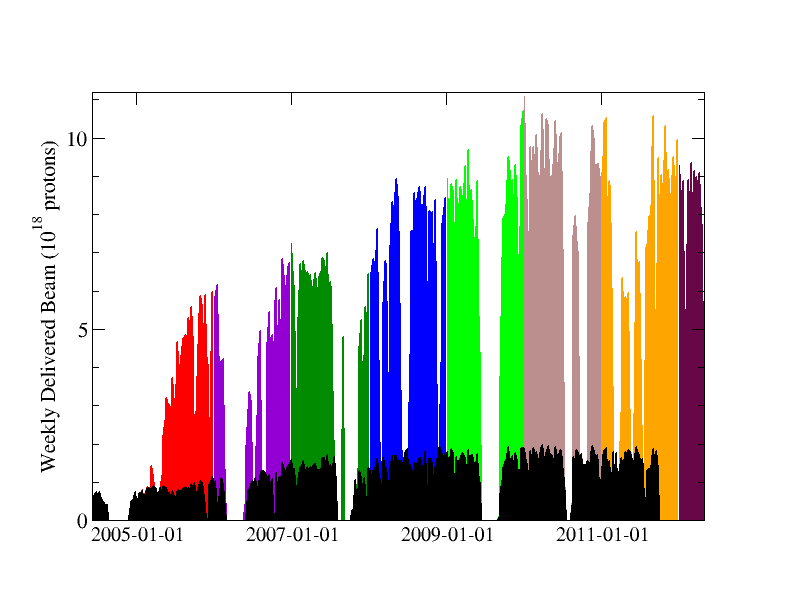 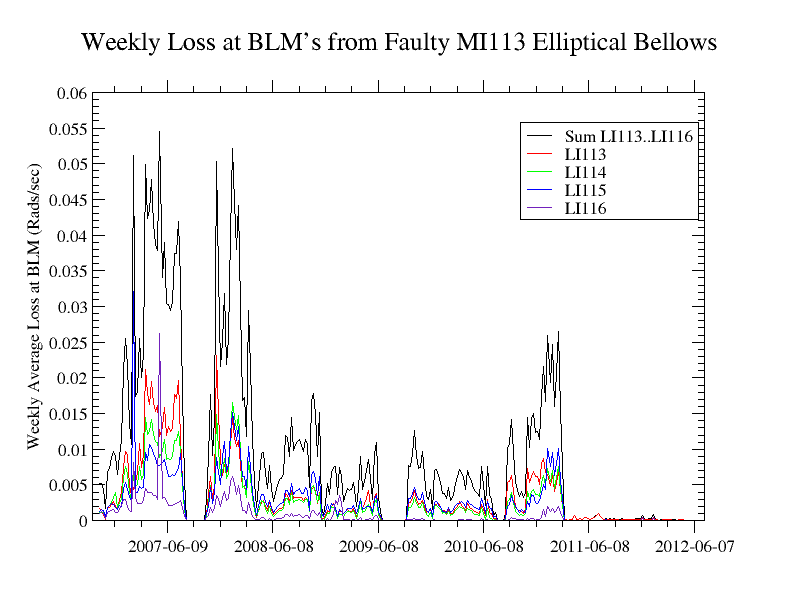 An additional consistent calibration is obtained by fitting the weekly loss as measured by the toroids to the weekly sum of the BLM response. 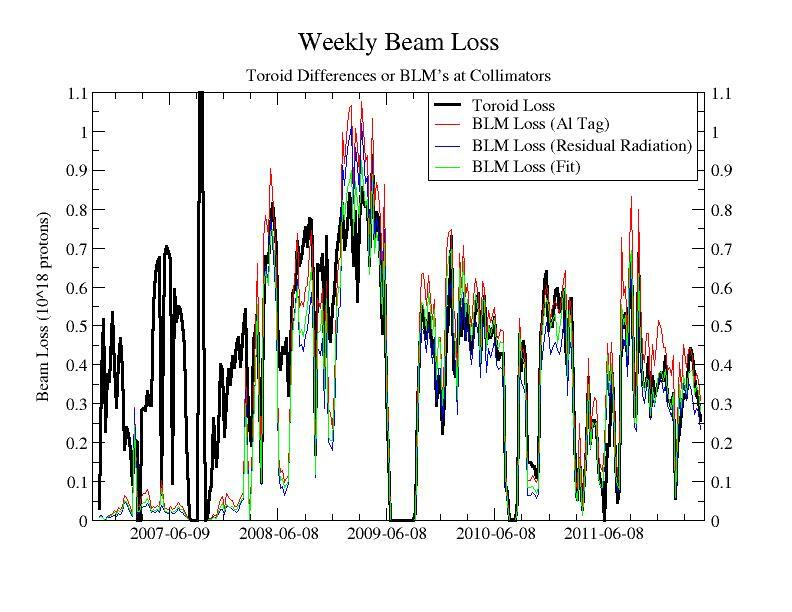 This document will refine the loss studies reported in Beams-doc-4519 .